User-Friendly Interface and support Windows 10/8/7. Outlook PST to Office 365 tool imports PST files in perfect order mapping them to Exchange mailboxes making the application ready to access data from PST. This software specifically designed to move outlook personal folders in Office 365 meets the expectations of user and transfer files quickly. 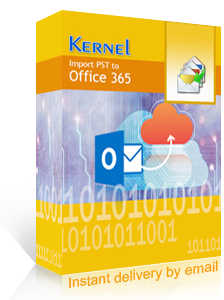 There are several advantages of using this tool to import PST to Office 365. Easy and Simple Migration: Importing Outlook PST to Office 365 is as simple as copying a file from one location to another. Just four clicks and the PST data items gets imported to Office 365 accounts. Just Add the PST and Office 365 account, map it with mailbox and click import. You only require the PST file and not the Outlook application making it much easier to use. Map PST With help of CSV file: Reducing the time and complexity, the software allows Administrators to map PST on blank CSV file and then upload it. So, there is no requirement to select each item at once and map it to Office 365 files. Bulk PST File Migration to Multiple Office 365 Accounts: An amazing and most required feature to Administrators is that the tool can import multiple PST files to multiple Office 365 accounts accurately. Now, avoid the method to add next PST file manually as the software accepts PST files in bulk and move them to Office 365 concurrently that make process faster. Import PST to Office 365 Public Folder: Now there is option to move Outlook PST files directly to Office 365 public folders. While migration you can select the destination as Public folders in Office 365. Additionally, import PST files to shared mailbox too. Complete File Transfer: The software takes complete care that all the data gets imported to Office 365 safely without losing any contents. Data items stored in PST E-mail, Messages, Contacts, Calendar, Attachments, tasks notes all of it is mapped to Office 365 account. Import PST to Primary and Archive Mailbox: The tool gives the flexibility to move single or multiple PST to Office 365 primary mailbox, archive mailbox and Office 365 groups. If the user have global administrator right then he/ she can move the files in desired folder. Move Desired Data to Office 365: The Migration tool saves the user mailbox space and transfer the files quickly with incremental import. If the PST is already moved then user can skip the previous imported data and import only files, data that is added later. Generate and Save Log Report: The software generates the log report after the PST files get imported. Save the log report at desired location as CSV file and check operations performed by PST to Office 365 migrator. Compatibility: Well, there is no requirement of Outlook installation, the software supports PST file created from Outlook 2019/ 2016/ 2013/ 2010/ 2007/ 2003/ 2002/ 2000/ 98 and 97. 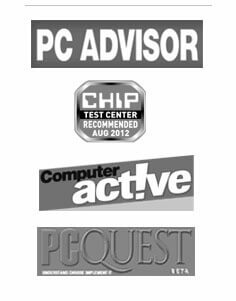 It is compatible with Windows 10/ 8.1/ 8/ 7/ Vista/ XP/ 2000/ 98/ NT and 95.